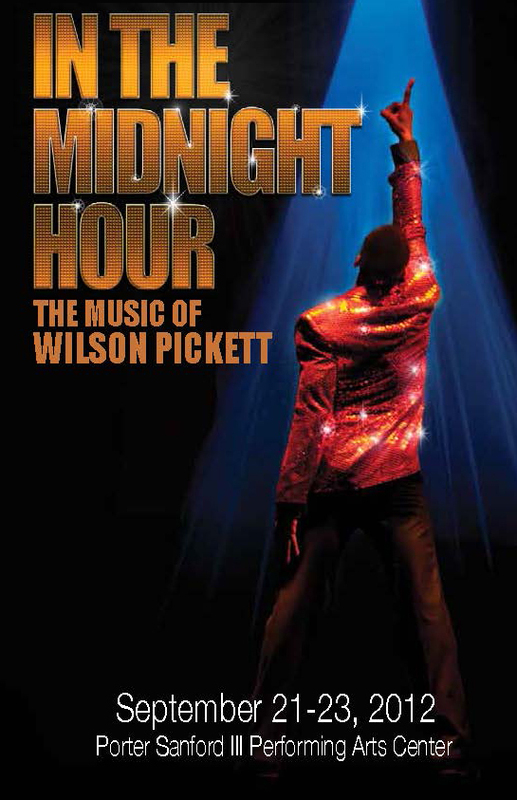 Challenge: The Wilson Pickett Foundation needed a Broadway-style identity package for their show “In The Midnight Hour: The Music of Wilson Pickett.” The concept needed to reflect the two sides of singer Wilson Pickett. Solution: We held a photo shoot with the principle actor who posed for the poster. The studio did not have adequate lighting so it all had to be added in post production. We decided to go with a “bling” font treatment to reflect the successful journey of the legendary artist. This concept was used in marquee posters, fliers, ads and the program cover.